Students will create models of architectural spaces, functional objects and invent new design solutions for living spaces. They will go through the design thinking process as they construct models of their bedrooms that include embedded circuitry. Students will use Tinkercad (a 3D rendering tool) as well as traditional prototyping materials and circuitry in their design explorations. 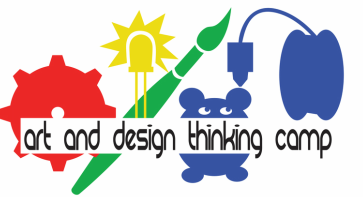 This week will build familiarity with building materials, vocabulary and a design thinking workflow. The projects will engage students in calculating ratios and proportions to develop scale models. Introduction to Design Thinking. How might you re-imagine your bedroom? What features would your dream bedroom have? Begin designing your room on a grid floor plan and then scale up to a large scale model. Mars Habitat Collaborative Project: How might you imagine a habitat for Mars? How might you design a space for eating, sleeping, playing, or growing food? Explore the criteria and constraints and build a model of a design solutions. This will lead off with a Skype conversation with Redworks engineering team as we discuss their journey in designing a concept for a Mars Habitat. Continue on Dream Room designs. Guest Speaker, Lisa Whitsitt, Industrial Designer and Experience Designer at Cliff Bar. She will lead a model making project of designing micro parks for local public spaces. Completion day: work on Dream Rooms, Mars Habitats and Public Space models. Camper presentations of one of their models.